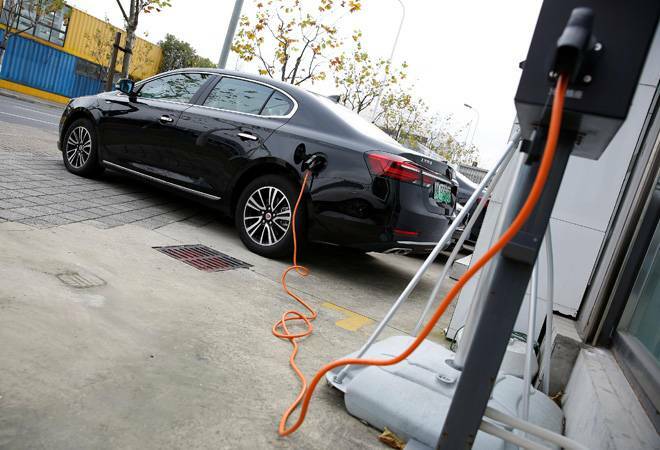 Should India's thrust towards electric mobility fructify, the resultant demand for electricity from this segment may grow 870 times between 2020 and 2030 a joint study done by ASSOCHAM and EY has said. By 2020, the overall electricity demand from electric vehicles (EVs) in the country is projected at around 79.9 gigawatt hours(GWh) and is expected to reach 69.6 terawatt hours (TWh) by 2030, the study says. This would mean multiple benefits-better utilisation of the grid, extra revenue for power suppliers and significant reduction in both carbon emissions and import bill due to reduction in import of crude oil. "The overall EV demand is expected to help utilities earn an estimated $11 billion (Rs 71,500 crore) in revenue by 2030," says the study titled, 'Electrifying India: building blocks for a sustainable EV ecosystem,' adding that increasing adoption of EVs across India will be instrumental in transforming the country's power sector. "The surge in electricity demand from EVs will help recover the slow demand growth." It also said that arrival of electric mobility is expected to help the P&U (power and utilities) sector realise net cost and revenue benefits from both the demand and supply side. Further highlighting the impact of EVs on the Indian power sector, the report noted that it will help the country in achieving carbon emission reduction targets. "By 2030, EVs are expected to reduce emissions by 40-50 per cent, compared to ICE (internal combustion engine) vehicles in an aggressive renewable energy scenario," it said. The benefits would however be much less if electricity production in India remains coal heavy. Around 65 percent of electricity in India today is thermal of which 57 percent is coal based, considered the most polluting form of electricity generation. Should this not change, the reduction in emissions are likely to reduce by 20-30 per cent.